This special issue, focusing on different case studies and drawing from different examples, addresses issues of political struggle, contextualized by multidirectionality and contingency. Using different starting and entry points (based, inter alia, on journalism studies, organizational communication, game studies, discourse theory, visual communication), the collection of articles included in this special issue sheds light on the logics of political struggle. In particular, this special issue allows reflecting on the distinction between struggles over and struggles through, very much in line with Plekhanov’s distinction between the means and aims of political struggle, and his argumentation for the alignment of both in socialist strategy. The articles in this special issue demonstrate that struggle can, on the one hand, be associated with conscious acts of re/appropriation or dominance over specific issues, discourses, positions (struggle over), but, on the other hand, also with the means, tactics, strategies through which struggles are waged (struggle through). 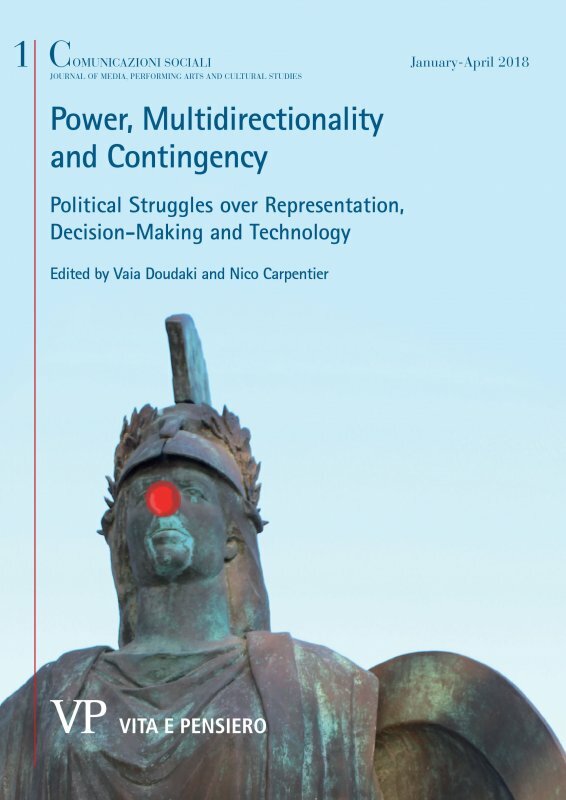 Furthermore, the special issue also allows showing that there are different ‒ albeit interconnected ‒ fields over which political struggles are waged, and that there are different mechanisms through which political struggles are organized. The collection offers a snap-shot of the complexity of political struggles, the fields over which the struggles are waged, and the mechanisms that are used to wage these struggles. Even if many other fields and mechanisms can be distinguished, this special issue hopefully provides an already rich overview of the different fields and mechanisms that play a role in political struggles. Moreover, and even more importantly, this special issue shows the omnipresence and variety of political struggle in contemporary society, and the relevance of this concept for the study of social phenomena in the 21st century. This paper addresses how Cold War enmity helped undermine US journalistic coverage of the 2016 presidential race. When the Cold War ended in 1989, its mindset went underground, surfacing periodically to lend form to events and issues in need of public consensus. One of its contours involved longstanding patterns of enemy formation, which years later offered journalists a familiar way of framing the 2016 presidential race. Far from useful, however, these patterns played to enmity short-circuited journalism’s response to changes in contemporary political culture, suggesting that journalists invoked the wrong kind of authority to cover Donald Trump’s struggle in the presidential elections. Not only did this power dynamics forcefully constrain journalists’ ability to provide fuller coverage, but it displayed an adherence to the past that neutralized the development of alternative modes of journalistic conduct that might have been more responsive to what ensued. Many contemporary organizations rely on a horizontal structure where local experts need to acquire authority. Despite this, many organizations may still adhere to the bureaucratic model where authority is distributed vertically and authority of position and expertise is considered to coincide. These two contradictory models can coexist because the relationship between authority of position and authority of expertise is loosely coupled. However, this contradiction may result in a wedge between managers and subordinates as subordinates lose trust in managers if decisions are not based on expertise. Organizations commence to acknowledge this wedge and consequently aim to remedy it. This article explores how organizations initiate communicative practices for different purposes, which, one way or another, involve the negotiation of authority. The results point to that the initiatives involve power struggles that need attention. The results also emphasize the importance of providing communicative tools. If this is done, sharing of authority seems to be more prone to take place. Deconstructing nationalist assemblages is a visual essay which analyses the memorialization of two conflicts in Cyprus ‒ he independence war of 1955-1959 and the Turkish invasion of 1974, focusing on the memorials in the part of Cyprus controlled by the Republic of Cyprus. Embedded in a discursive-material knot perspective, the essay defines the memorials as the material components of nationalist assemblages, which have the agency to invite for particular interpretations. After providing the historical background of the Cyprus Problem, and the two conflicts, the essay first analyses the statues and commemoration sites which support a (post-)antagonistic nationalism, but then also discusses (and shows) how this still dominant model is undermined in two ways. Firstly, the practices of everyday life undermine and neutralize the invitations for respect and agreement that the memorials communicate and expect. Secondly, as the Cyprus space cannot be totally controlled, memorials that invite for alternative and counter-hegemonic readings have also appeared. The conclusion briefly reflects about the possibilities for further self-enemy re-articulations. The article evaluates an academic intervention which consisted out of two photography exhibitions in Cyprus, focussing on the memorialization of the Cyprus Problem. These exhibitions communicated academic research into antagonistic nationalism and aimed to trigger societal debate, empowering the more agonism-oriented parts of society, and offering opportunities for reflection to others, simultaneously acknowledging the limits one intervention has. The article starts with reflections on academic interventions and on the agonization of conflict, and then describes the two exhibitions and the intervention’s objectives. The reception component, which is the heart of the analysis, first shows the considerable reach the intervention had, and then discusses how the visitors argued for the analytical and critical relevance of the exhibitions, how they problematized (parts of) the exhibitions and how they triggered new signifying practices (after the exhibitions). Finally, the conclusion critically reflects on the de-naturalizing strategies of the intervention. We currently reside in what is commonly labeled the ‘digital society’, a term associated with blurred boundaries between private/public and work/leisure as ubiquitous personal digital devices such as tablets, smart phones and laptops permeate our daily lives. Meanwhile, pre-digital technologies are enjoying somewhat of a revival, particularly in the area of smart phones. This article investigates the social and material power negotiations that underpin a particular instance of the taking up of pre-digital technologies in the post-digital society by asking: What can the taking up of pre-digital technologies reveal about the social and material configuration of use, and the social construction of empowerment through technology. 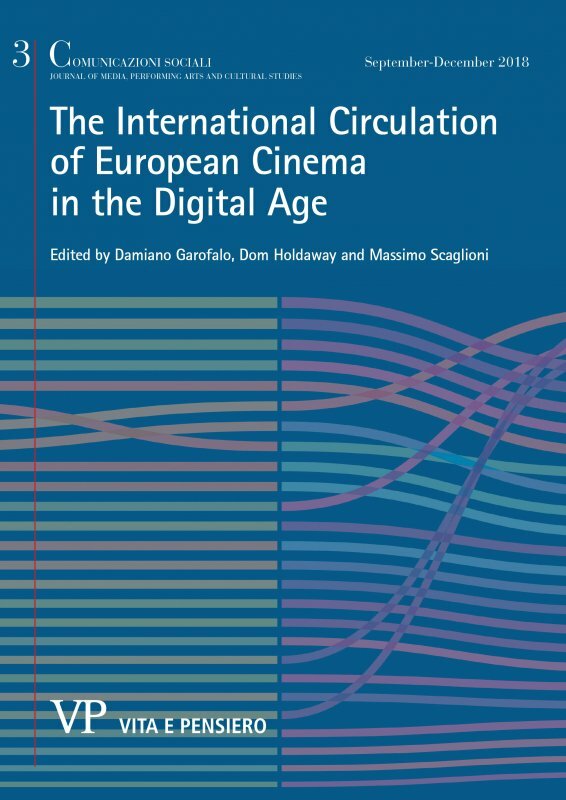 Drawing on a combination of assemblage theory and a Foucauldian perspective of power, and in order to understand the push/pull of pre-digital technologies, this article disassembles the material and social negotiations that configure and condition what we may label digital use and pre-digital (non-digital) use. By doing this we aim to enable a more nuanced approach to societal digitization and the way in which ‘the digital’ is associated with empowerment in today’s technologically saturated society. This article uses the example of high-end raiding in the online game World of Warcraft to investigate the power relationships between players and producers and to examine how the notion of struggle can inform an understanding of co-creative game design. The study is based on a recently published dissertation work and complemented by an interview with two expert interviewees. The results of the study show that while game designers still have a de-facto power position in that they can ban guilds, however, producers are not seen as legitimate when exercising this power. Instead raiding guilds are reluctantly refereeing their game themselves and treat the game company at times even as an inconvenience to be played around. This participatory power is not given to raiders but it is the outcome of a struggle with the producers of the game. Raiders also explicitly criticize the exploitation of their labor in game testing. This article analyses how official citizen deliberation processes interpellate citizens, and argues that this act of invitation is a crucial element of the power dynamics of people’s participation in such processes. The interpellation as citizen is both what offers people the opportunity to speak and a central aspect of how people’s discourse is constrained and given direction. The study combines a discourse-theoretical perspective on interpellation and subject positions (Laclau and Mouffe) with frame-theoretical insights (Goffman), to analyse the way interpellation works in practice, how certain subject positions rather than others are indicated or prescribed to participants, and the ways these participants endorse them or attempt to (re)position themselves in interactions. Based on the analysis of a citizen deliberation process on health care reimbursement organised in Belgium, we show how the invited citizens are interpellated ‒often simultaneously ‒ as ‘nationals’, as ‘ordinary people’, and as ‘participants’, and how they respond to this. On a theoretical level, this article contributes modestly to a more dynamic, multi-layered and subtle conceptualization of subject positions as constructed through suggestion, response and resistance in concrete interactive settings. This article departs from active participants and their relationship to lurkers in a particular setting of cultural participation: flaming political discussions in an LGBTQ dating community. The question the article seeks to answer is how active participants positioned themselves and others in these discussions. Active participants did not expect to convince or reason with their opponents; they were addressing an audience of undecided lurkers; users without their opinions formed who were expected to lurk and thus possible to impress with their arguments. The article thus reveals a struggle for recognition on two levels – to be recognized for your flaming capabilities as well as for your arguments and ability to persuade, a struggle in which both opponents and lurkers were of importance. Using different starting and entry points (based, inter alia, on journalism studies, organizational communication, game studies, discourse theory, visual communication), the collection of articles included in this special issue sheds light on the logics of political struggle. In particular, this special issue allows reflecting on the distinction between struggles over and struggles through, very much in line with Plekhanov’s distinction between the means and aims of political struggle, and his argumentation for the alignment of both in socialist strategy.